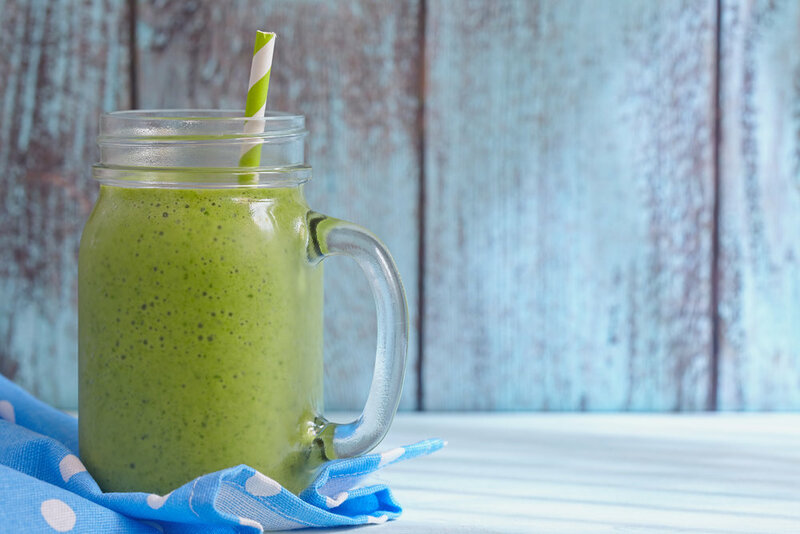 Whether you are on the smoothie train or haven't quit worked up the courage to try one yet, this green smoothie is a great way to change-it-up or jump in to trying green smoothies with both feet. The combination of pineapple, coconut water, and lime makes an island vacation start to the morning. I love this combination of ingredients because they are very nourishing for your adrenals (especially if you have adrenal burnout) and they also decrease inflammation. Even better, this simple recipe is absolutely delicious, so you don't even realize that you are alkalizing, detoxifying, and packing your body full of nutrition that will keep you going all morning long. Key Smoothie Tip: Always make sure to add at least 1 tsp of good fats to your smoothies (in this recipe it is chia seeds), which is essential for properly absorbing all the nutrients that the greens provide and keeping you full longer. 1 cup unsweetened, not from concentrate coconut water (Zeco is a good brand). 1/2 whole lime, squeezed – don’t skip this, it is the secret ingredient to deliciousness! (use the remaining lime later during the day for a refreshing infused water! Wash the cucumber and cut in half and chunk for blending. Save the other half for future smoothies or an afternoon snack. Pour the coconut water into your blender. Add the kale or spinach and blend. Once smooth, add the cucumber, pineapple, collagen, chia seeds, and lime juice. Blend again. Add ice cubes if desired and blend one more time. If too thick, add water as needed. Pour into a glass and enjoy!